Popular American singer and actress Mandy Moore is scheduled to visit India for a cause. Her trip in September is an outreach to India’s support for curbing Gender Based Violence programe-initiated by the NGI PSI. 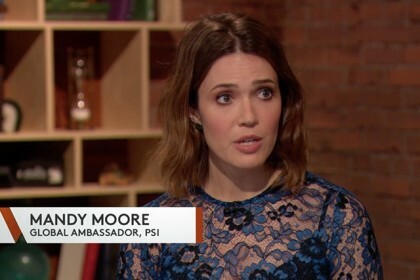 Mandy Moore is a global health advocate, and joined PSI in 2008 as an ambassador for its child survival programme. The 31-year-old, known for roles in movies such as “Saved”, “Tangled”, “A Walk to Remember” and “The Princess Dairies” has attended Clinton Global Initiative University and became a Young Global Shaper for the World Economic Forum. Moore, along with Indrani Goradia, philanthropist, women’s health and empowerment advocate and founder of Indrani’s Light Mission, are special guests of NGO Population Services International (PSI), India. They will put the spotlight on the fundamental human right of all individuals to live a life free from violence, sources told IANS. This joint initiative by PSI is aimed at providing children and their families with the education, products, services and care needed to improve their health and save lives in more than 30 countries around the world.